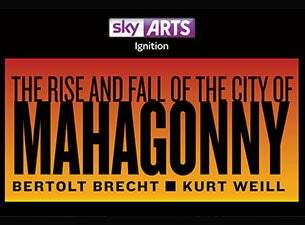 Rough Magic and Opera Theatre Company present Sky Arts Ignition: THE RISE AND FALL OF THE CITY OF MAHAGONNY by Kurt Weill and Bertolt Brecht. A major new production of an iconic opera featuring an all-star Irish cast, with full orchestra and chorus. Directed by Lynne Parker and conducted by David Brophy. NOTE: the seating configuration of the Olympia will be changed for this production to create an immersive opera experience. NOTE: the seating configuration of the Olympia will be changed for this production to create an immersive opera experience.